Ghana is developing an autonomous internal audit system that would fashion out standards and procedures to be used daily by organisations to strengthen internal controls and prevent malpractices in state establishments. The Minister of Finance and Economic Planning, Mr Yaw Osafo-Maafo, who disclosed this in Kumasi yesterday, expressed regret that the country had never had an autonomous internal audit.This situation, he noted, had allowed the Controller and Accountant General the chance to play the role of internal auditor. He said this did not guarantee the independence of the Auditor General; instead it lent itself to conflict of interest.Mr Osafo-Maafo was speaking at the opening ceremony of a procurement process training programme in Kumasi. The Minister stated that currently the Auditor General's reports were in arrears for about two years, which did not augur well for proper accountability in state organisations.He said the new Internal Audit Act 2003 required that Ministries, Departments and Agencies (MDAs), and Metropolitan, Municipal and District Assemblies should establish Internal Audit Units. He gave the assurance that the government was determined to see to the operation of one procurement system in the country with the passing of the Public Procurement Act. 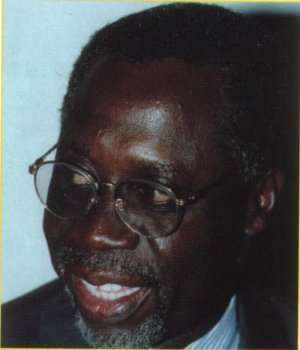 This, he noted, would do away with the other donor procurement procedures and processes.Mr Osafo-Maafo noted that good financial management was important since it had a direct impact on the quality of the nation's budget expenditure and would contribute to the poverty reduction strategy of the government. The Finance Minister said that the public procurement in the country accounted for 50-70 percent of imports and about 80 percent of government's non-wage expenditure. Therefore, any improvement in the public procurement system had a direct effect on the country' s economy. The Ashanti Regional Minister, Mr. Sampson Kwaku Boafo, said the government's promise of providing an open and transparent administration had manifested in the facilitation and passage of the Financial Administration, Internal Audit Agency and Procurement Acts.He said the World Bank's support for the training on procurement was an indication of the good work the government was doing. He noted that the training programme was important for both the public and private sector, since the government considered the private sector as the engine of growth in the country's economy.